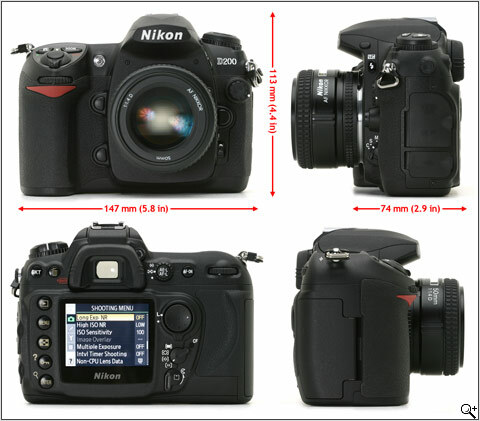 The Nikon D200 is a professional digital SLR camera. This camera does not come with any lens. Because of the nature of the IR enabling modification, we do not recommend this camera to anyone who does not fully understand the implications of the modification. We can modify this camera to be IR+Visible, IR-Only or Visible Hot Rod. An IR+Visible camera will see both Infrared and Visible light after modification. An IR-Only camera will only see IR from 715nm through 1200nm. A Visible Hot-Rod camera will maximize the resolution and color depth of the camera at the expense of possible moire pattens. Please see more about this conversion here. User can see through lens when taking IR pictures No. Camera is not IR sensitive No Yes. Filter is internal. 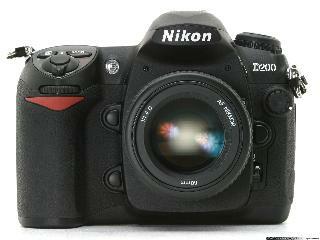 Our modified Nikon D200 cameras can take infrared pictures at very high speeds in comparison with a stock camera. For example, the camera can take an IR picture with a F1.2 lens using a 1000nm cutoff filter in daylight at 1/4000 of a second. The modified camera is very fast to the point that it can become a problem if you are using too fast of a lens. F10 1/2500 -1.0 No Filter - IR & Visible Light. Unlike consumer cameras like the other Sony digital infrared enabled cameras which we sell, the Nikon D200 meters light through a separate light sensor. The typical consumer cameras use the camera's CCD to set exposure. Since the D200 has a separate metering circuit, the camera does not correctly automatically set exposure. The user must manually set the Exposure Compensation (EC) function. The amount of correction will vary depending on the ambient infrared light. We may find a fix for this in the future. When you buy the D200, you only get the camera body. You have to supply your own lens. Further, you will need to have various filters for each and every lens you use with this camera. We can modify your D200 for a $450 fee + return shipping & handling ($20 for UPS ground insured within continental USA).